Shaw & Sons Limited is proud to be one of the oldest established businesses of any description in the world, having been founded in 1750 and trading continuously since then. Through its long history, Shaw's core markets have been the legal and local government sectors. Today, this is still true and, for the former, we supply a wide range of paper forms, specialist legal stationery and printing services. For local government, the same products and services are offered, plus a specialist binding service for registers and minutes, and a fine selection of bespoke civic ceremonial items. In fact, the civic ceremonial department supplies a variety of items not only to local authorities but also to city livery companies and professional institutions. These include civic insignia, illuminated addresses, honorary freedom scrolls, distinguished visitor books, heraldic plaques and various certificates. Election supplies has become the biggest of Shaw & Sons' departments and we supply virtually everything (except ballot papers) that is required for equipping polling stations and counts for elections of all types throughout England and Wales, with a selection of products for Scotland, Northern Ireland and overseas as well. For businesses of all types, you can order your everyday printed stationery from us. Finally, under the Shaw's Funeral Products banner, we supply a range of stunningly beautiful cremation urns, ash keepsake jewellery and books of condolence for the bereaved and a wide selection of practical items for funeral directors. Thus Shaw & Sons continues to present a quite diverse, although largely inter-related, range of activities. A common feature of them all is the high standard of customer service and expertise that is the result of over 260 years' experience. 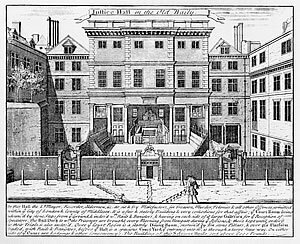 1750 Henry Shaw set up as a printer in the City of London after travelling from Nairn in Scotland. In the early days the business concentrated on printing and binding, and later became involved in publishing legal forms and books. 1930s Shaw's remained a family business and moved the printing and binding operations from the City to a purpose-built factory in Sydenham. The Editorial department and office staff remained at the original Fetter Lane building during this period. 1950s The company finally moved out of family ownership. 1960s The Fetter Lane complex of premises was sold for redevelopment and the whole operation was transferred to Sydenham. 1970s The business transferred out of private ownership to become part of the Tridant Printing Group who were principally local newspaper publishers and general printers. 1979 Through acquisition, Shaw's became part of the Extel Group plc by way of its subsidiary, the Burrups Group. 1988 The St Ives Group acquired the Excel Group and Shaw & Sons was sold to The Gordon Press - a private company. During this period, as part of a process of rationalisation, the printing and stationery parts of the business were moved to The Gordon Press's premises at Croydon. Premises at Crayford in Kent were acquired to accommodate the publishing operation. 1997 Through a management buy-out, the company changed hands again. 2001 The Gordon Press was sold and the whole Shaw's operation was moved to the offices in Crayford, where it remains today. 2010 The sale of Shaw's book publishing interests to Sweet & Maxwell, together with the transfer of Forms on Disk to IRIS Software Group, enabled the company to concentrate on its traditional core businesses, namely paper legal and local government forms, specialist stationery and services for these professions, and civic ceremonial products. During this period of change, Shaw's strengthened its elections business to become the country's leading supplier of election materials. 2011 Shaw's purchased Tutill Remembrance Items, a small business supplying high-quality remembrance products to the funeral profession and the bereaved, and functional items to funeral directors. Steady expansion of this business saw it renamed Shaw's Funeral Products in 2013. 2016 The ERS Group - leading providers of services which enable people and organisations to engage, register, vote and govern democratically - became Shaw's new owners. 2018 The ERS Group was acquired and became part of the Civica Group. As part of the group, Shaw’s works seamlessly with colleagues in Electoral Reform Services, MES, Xpress and Modern.Gov to provide a comprehensive range of services including election management, software membership engagement and paperless governance.